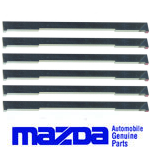 Genuine Mazda Water Seal Kit includes the following components. * We supply the better FD3s rear main oil seal in our kits. While kits are usually delivered quickly in at times when certain items are out of stock please allow up to 28 days for delivery of your selected rebuild kit. If you require your kit urgently please contact us in advance before ordering. **Due to the Differences between the 192ps, 231ps and R3 engines please select the correct kit from the drop down menu above this menu also includes delivery options for your particular package. 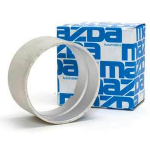 (found next to the price) * We supply the better FD3s rear main oil seal in our kits. While kits are usually delivered quickly in at times when certain items are out of stock please allow up to 28 days for delivery of your selected rebuild kit. If you require your kit urgently please contact us in advance before ordering. Please allow up to 3 weeks for delivery, if not in stock, If you require these quickly please contact us prior to ordering. 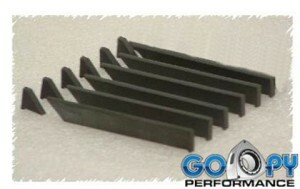 Upgrade your RX-8 Rebuild Kit with Goopy Performance Apex Seals instead of the Genuine Mazda seals. 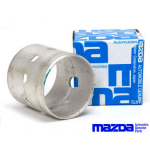 This item when added to your shopping cart along with your chosen engine rebuild kit will cover the price difference between Mazda Apex seals out kits usually ship with and the additional cost of the Goopy Performance seals. 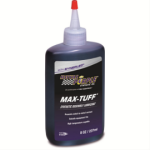 Please note that this item can only be bought in conjunction with one of our RX-8 rebuild kits and is does not cover the purchase cost of goopy apex seals along. This makes these High Performance Apex seals not only ideal for any Turbo or Supercharged RX-8 but also ANY standard or tuned normally aspirated Renesis engine. 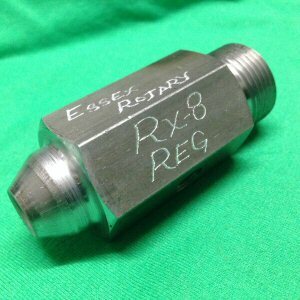 Also available for the RX-7 engines these seals can be included in your Essex Rotary engine rebuild upon request at a small additional cost. 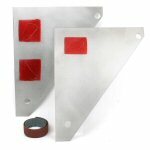 Sold at a set of 6 complete seals these will easily replace the stock apex seals found in all RENESIS engines. This Racing Beat oil system upgrade kit contains both the Racing Beat oil pressure regulator and the Racing Beat thermal bypass pellet. 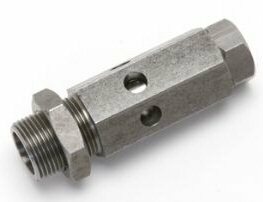 Thermal bypass pellet The thermal bypass pellet is designed to replace the stock thermal pellet found in the front of all eccentric shafts from 1986 onward the stock pellet works like a thermostat restricting oil flow to parts of the engine when cold. however when they fail they generally fail in the closed position leading to permanently reduced oil flow this is not good for your engine. The Racing Beat bypass pellet removes this point of possible failure. The pellet replaces the stock unit and allows full oil flow from cold. So by using the Eccentric Shaft Thermal Bypass Pellet Replacement you will know the oil is reaching the parts it should at all times. Please Note The 2009-2011 RX-8 Renesis engine is not equipped with a rear pressure regulator. Nominal oil maximum oil pressure on this application is 110-115 PSI. We do not offer a regulator to increase the oil pressure on this application. 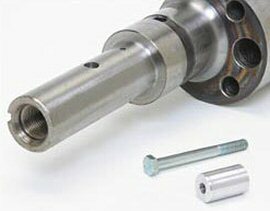 The Racing Beat Eccentric Shaft Thermal Bypass Pellet Replacement can be installed on any 1986 and later eccentric shaft. from RX-8 through to late RX-8's The Thermal pellet is designed to delete the traditional oil thermostat found in the front or the eccentric shaft, this unit is known to fail over time and always fails in the closed position reducing oil flow to your engine however you will never know. Highly recommended to fit at the time of a rebuild. The new oil pressure regulator from Essex Rotary is based on a modified Mazda regulator but is designed to run a higher maximum oil pressure. Bringing the standard pressure on a series 1 RX-8 from from a maximum of 80 psi and increasing it to around 110psi this increased oil pressure means that your series 1 engine will now run pressures much closer to that of the later series 2 RX-8 (R3) This makes the Essex Rotary enhanced oil pressure regulator great for ported ad high revving applications, equally suited in a standard engine its a great upgrade for piece of mind. The main advantage of the increased oil pressure would be to increase bearing protection over that of the standard 80psi found in the series 1. In our experience we have removed oil pressure regulators from engines that have been running as low as 50-55 psi. Please note that these housings are factory items and are NOT recon/resurfaced housings. Due to the high value of these items they are special order only while we strive to fulfill special orders as quickly as possible, please allow up to 30 working days for delivery. The Racing Beat Street -Port Templates allow you to undertake your own intake and exhaust porting efforts on all model years of the high-power 6-Port Renesis 13B engine. These porting templates are traced from Racing Beat's own master templates, which are the result of years of research and development. The actual port shapes are traced on thin sheets of aluminum which you must first cut out, testing your ability to use a die grinder effectively before attempting to port an expensive engine component. The finished template is held in place and the porting shape is then traced onto each housing. Included with the Renesis porting templates are detailed instructions and advice to guide you through your porting efforts. Limited clearance on the Renesis side housings creates additional challenges when porting these housings, our instructions provide detailed photos of the most critical areas of concern. This is a set of Genuine Mazda "windowed" stationary gear bearings commonly found in the high power 6 port (231ps/250ps) RX-8 and RX-7 FD3s These are a multi window design to promote superior oil flow when co pared to the earlier versions found in the FC3s and Automatic RX-8 This set is the most common size for use when rebuilding your engine or simply replacing your old worn bearings when you remove your engine. The part number for this bearing ends in "E04" giving the greatest clearance other then Mazda Factory Race Bearings. Other sizes can be special ordered on request. These bearings are sold as a set of 2 While we try to keep these in stock, If not in stock delivery may take up to 3 weeks, if you need them in a hurry please contact us prior to ordering. Please note these are the most common size however we are able to offer other clearance bearings upon special request. These come in both 192ps and 231ps versions and are supplied in "Short Block" format meaning that they are NOT supplied with any ancillaries, OMP,Thermostat Housing,Injectors, intake and exhaust manifolds etc. These engines are special order only so please get in contact prior to placing an order. We are able to offer installation at our workshop or delivery to your chosen garage. 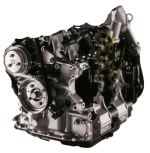 while delivery times should be relatively short, Due to the nature of this item please allow a possible 3-6 weeks for delivery, if you need your engine quickly we recommend contacting us prior to placing your order so that we may confirm Mazda stock levels. Now available from us right here in the UK. The RE-medy water pump has been designed by our friends from Mazmart in the USA, They take a new genuine water pump and install their very own high quality billet impeller on it, This helps increase flow while decreasing cavitation at higher RPM. 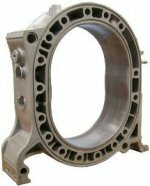 This high flow RE-medy water pump is designed to prevent cavitation at engine speeds as high as 10000 rpm. It is a direct fitment, as OEM and comes with a new Mazda OEM gasket. 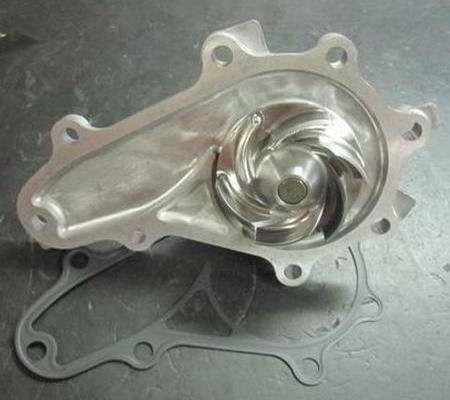 RX-8 water pump for series 1 version, 2003-2008.